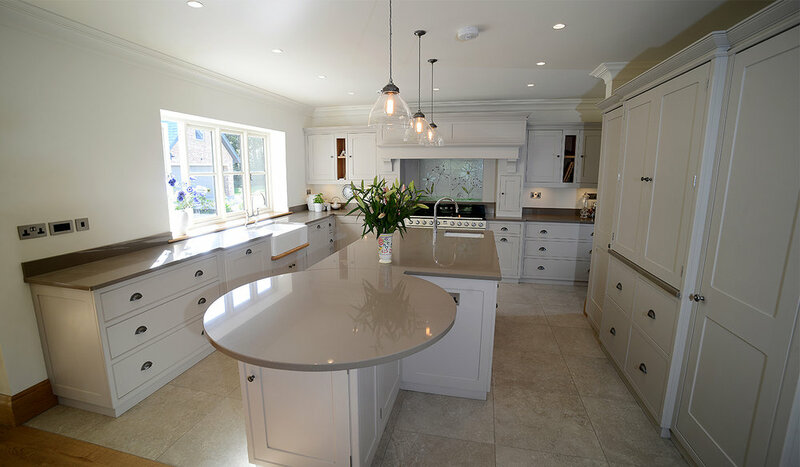 In recent years, DJK Interiors have been lucky enough to work with the prestigious Lancashire based Culshaw, designers and makers of hand built, bespoke kitchens. 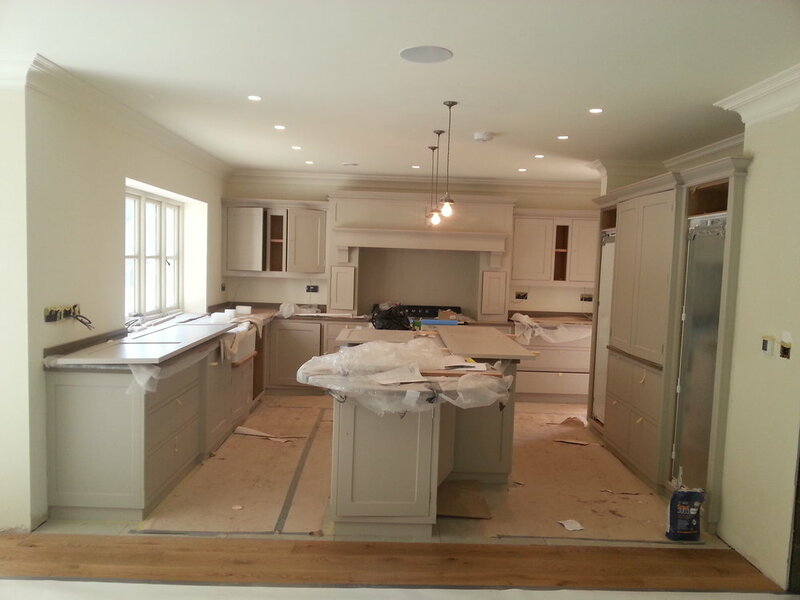 We have consulted with clients on colour schemes and carried out the painting of these stunning kitchens. Pictured are some images taken during the process of painting and then the finished article. Built by Windmill Homes, The luxury Ballam Oaks development near Lytham, Lancashire is a collection of newly constructed execuctive homes. 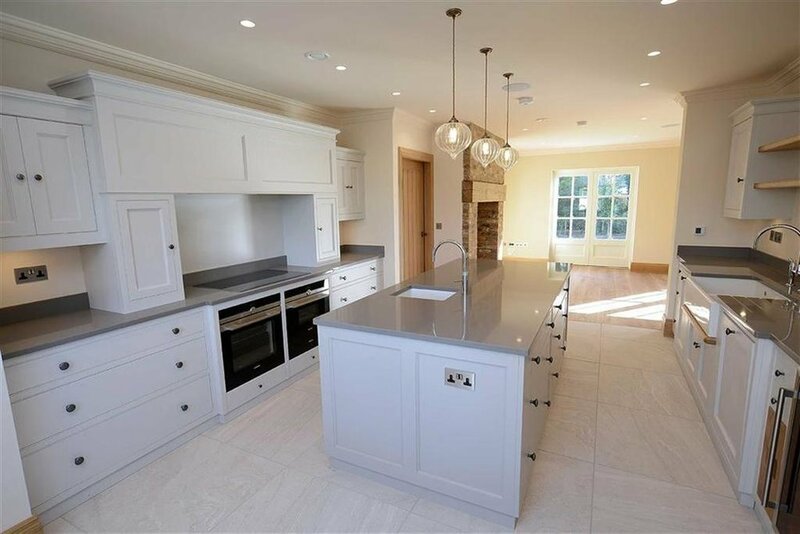 This beautifully styled and constructed kitchen from plot 1 was painted on site by DJK Interiors. Built by Windmill Homes, The luxury Ballam Oaks development near Lytham, Lancashire is a collection of newly constructed execuctive homes. This kitchen from plot 3 with its seamless combination of contemporary and traditional styling was also painted on site by DJK Interiors. This kitchen was fitted in to the brand new extension of a lovely farm house in Croston, Lancashire. The styling fits perfectly into the farm house setting and looks great with its bespoke curved cabinetry. There is also a utility room to complement the kitchen all of which was painted on site by DJK Interiors. This stunning rural grade two listed property was in the middle of a complete refurbishment of which the kitchen formed an integral part. The quality of craftsmanship is evident in this beautifully constructed kitchen, It fits in perfectly with its period setting and looks very stylish with its two tone grey colour scheme. All painted on site by DJK Interiors.